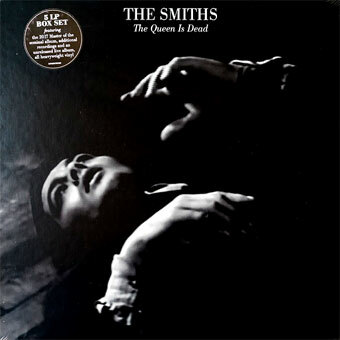 The Queen Is Dead is the third studio album by English rock band the Smiths. It was released on 16 June 1986 in the United Kingdom by Rough Trade Records. The album spent twenty-two weeks on the UK Albums Chart, peaking at No. 2. This is the 5 LP BOX SET featuring the 2017 Master of the seminal album, additional recordings (dbl LP) and an unreleased live album (dbl LP), all heavyweight vinyl. All three albums included. are issued with gatefold sleeve and printed inner sleeves.